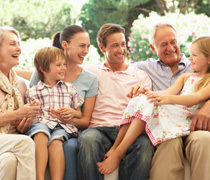 You have probably heard of family trusts, private trusts, or corporate trusts. You may also have heard of offshore trusts or international trusts. There is a mystique about trusts as well as a lot of confusion about what they are and when they should be considered. Many people think trusts are just for the rich or for people with complex financial and investment affairs. That is not the case at all. Trusts are a very common way of dealing with a range of personal choice, family or business options. As will be outlined in the following chapter, one or a number of trust options could meet your financial, estate and tax planning needs. A trust arises when a person (known as the settlor) transfers legal title to property or assets to another person (known as the trustee), with instructions as to how the property is to be used for the benefit of named persons (known as the beneficiaries). The trustee could also be one of the beneficiaries. Although the trustee has legal title to the trust property, beneficial ownership rests with the beneficiaries. In other words, the beneficiaries actually own the trust property, even though the title is in the trustee’s name. There are two main types of trusts: living trusts and testamentary trusts. A living trust, also referred to as an inter vivos trust, is established while an individual is alive, and comes into effect once the trust agreement is signed and the trust is funded. A testamentary trust is created under the terms of a person’s will and therefore takes life on the person’s death. It is funded with assets from the proceeds of the deceased’s estate. These trusts serve different purposes and objectives and can have different tax implications. You can set up trust funds in a number of ways. You may want the beneficiary to receive regular ongoing income generated by the capital of the fund, that is, the original trust money. This is a very common provision when leaving money to charitable or educational organizations. If you are setting up a trust for infant children, you may want your trustee to have the power to encroach upon the capital of the fund, in other words, use part or all of the trust money for your children’s education and maintenance. You may wish to accumulate income within the trust fund and postpone payment of the entire fund until the occurrence of some specified event. This is called a conditional trust. For example, this trust could be used for minor children until they reach the age of 21. If you have an irresponsible adult child, you could have a condition that he or she can’t access the entire fund until they reach 40 years of age. A trustee only derives certain limited powers by provincial statute. Therefore, your will should specify exactly what powers you want to give to your trustee in carrying out the provisions of the trust. For example, if you do not wish your trustee to be restricted in the type of investments available for the management of trust funds, you must provide your trustee with expanded investment powers in your will.